Radee Prince, the 38-year-old Wilmington man who shot another man at the victim’s auto sales business in Wilmington in 2017, faces up to 89 years in prison after being convicted by a jury on numerous charges including Attempted Manslaughter. Deputy Attorneys General Mark Denney and Erika Flaschner secured the guilty verdicts. In October 2017, Prince went to the 28th Street Auto Sales And Service shop located in the 2800 block of Northeast Boulevard and shot 35-year-old Rashan Jason Baul several times, including once in the face. Prince fled the scene but was arrested later that evening near the Four Seasons Shopping Center on Route 896 in Glasgow after a foot chase with police, during which Prince discarded a gun. A Superior Court jury found Prince guilty of Attempted Manslaughter, 2 counts of Possession of a Firearm During the Commission of a Felony, Reckless Endangering First Degree, Carrying a Concealed Deadly Weapon, and Resisting Arrest. Prince faces 8 to 89 years in prison when sentenced in August for the Delaware crime. Prince also faces charges, including three counts of Murder First Degree, in Maryland in connection with a mass shooting at his former workplace. Dance instructor Alexander Boitsov, 66, of Hockessin, pled guilty to Unlawful Sexual Contact Second Degree for an incident involving a 17-year-old boy in a Dover dance studio locker room. Boitsov was accused of telling the victim, who was a student at The Dance Conservatory, to undress under the guise of providing instruction and then engaging in sexual contact with the victim in June 2017. After the victim reported the incident to his parents and police, Boitsov was arrested at a ballet studio in New York City where he also taught and was extradited to Delaware. Deputy Attorney General Kathleen Dickerson secured the plea, and Boitsov will be sentenced by a Superior Court judge in October after a presentence investigation. Boitsov, who taught at a number of ballet studios in the region, also faces charges in Chester County, Pennsylvania, for sexually assaulting a student there. A 37-year-old Wilmington man faces at least 17 years in prison after a search of his car and home found thousands of bags of drugs along with a gun. 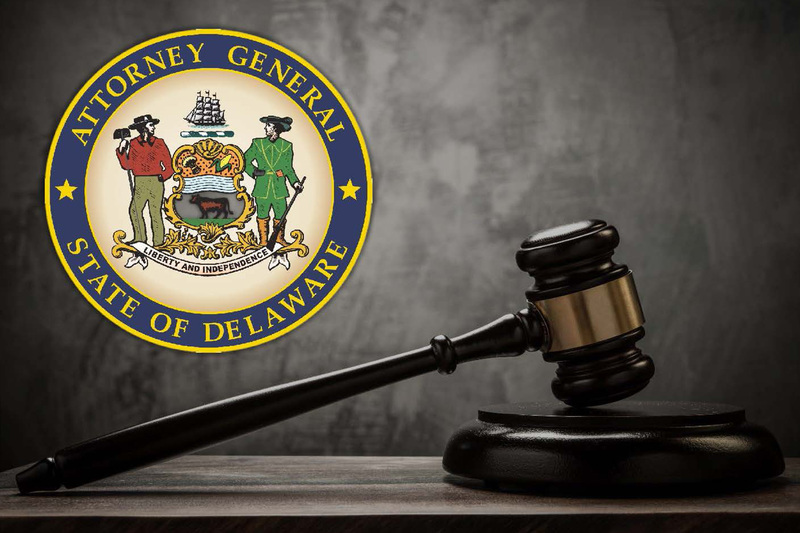 Deputy Attorney General Erika Flaschner secured a guilty plea from Tony Davis to Drug Dealing Heroin Tier 4 and Possession of a Firearm by a Person Prohibited. After a traffic stop in August 2017, police found over 12,000 bags of heroin, a loaded firearm, cocaine, methamphetamine, alprazolam, marijuana, and oxycodone. Davis, prohibited from having a gun because of previous felony convictions on drug charges, will face a minimum 17 years in prison as a habitual offender when sentenced by a Superior Court judge in September. Chief Investigating Officer Detective Danielle Farrell from the Wilmington Police Department investigated the case. Joseph Basher, 30, of Newark, pled guilty to the charge of Possession of a Firearm by a Person Prohibited. In June 2017, Basher and another man, 26-year-old Joshua Perry of Newark, entered a home in the 700 block of Harwood Road in the Gordy Estates neighborhood near Newport through an unlocked back door to steal money and a gun. The homeowner and his cousin arrived home while the two men were in the house and held Basher in the backyard after a struggle until police arrived. While holding Basher, the homeowner found the stolen gun in Basher’s pocket and was able to grab it and throw it across the yard. In August, a Superior Court judge will sentence Basher, prohibited from having a gun because of previous felony convictions for drug, weapons, and theft charges, as a habitual offender to at least 7 ½ years in prison. Perry, who ran from the house, pled guilty to Conspiracy Second Degree and will also be sentenced by a judge in August. Deputy Attorney General Kelly Sheridan prosecuted the case. A 2017 robbery and shootout led to a prison sentence for a 20-year-old Newark man. Deputy Attorney General Stephen Smith secured a guilty plea and prison sentence for Judeau Brown on charges of Robbery First Degree and Possession of a Firearm During the Commission of a Felony. In April 2017, Brown and another man, 20-year-old Quadaire Sadler of Newark, went to a home in the Towne Point Apartments on Carvel Drive in Dover to buy marijuana from 22-year-old Matthew Newman. When Brown and Sadler arrived, each carried a gun and they forced their way inside, robbed Newman, and ran. All three men suffered gunshot wounds as Brown and Sadler fired shots at Newman as they ran with Newman firing back. Immediately after pleading guilty, Brown was sentenced by a Superior Court judge to 7 years in prison, followed by 6 months of either home confinement or work release, then one year of probation. Sadler pled guilty in April to Robbery Second Degree, Possession of a Firearm During the commission of a Felony, and Conspiracy Second Degree, and was sentenced to 5 years in prison followed by a year of probation. Newman pled guilty to Possession of a Deadly Weapon By A Person Prohibited and was sentenced by a judge in October 2017 to 1 year of probation.